Enjoy a quiet cup of coffee or a lively outing with family from the edge of your dock with our Dock Furniture. With classic styling and outstanding comfort we have raised our standard to meet your dreams. 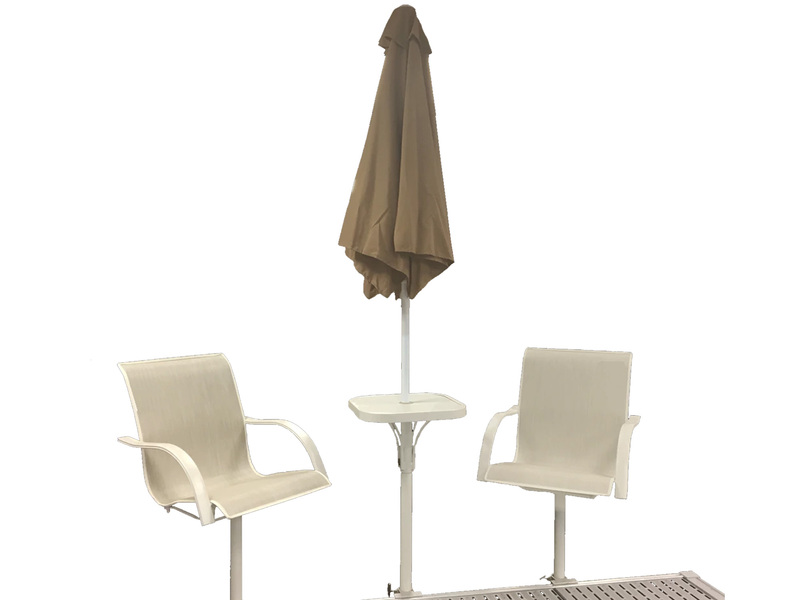 Featuring elegantly sloped armrests, availability for replacement chair slings and an all-aluminum swivel rocker this furniture set offers an exciting way to experience your shoreline in comfort and relaxation. With ShoreMaster docks and accessories, you can celebrate life’s little moments in style (and comfort) season after season.